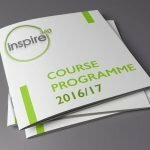 Inspire 360 is not only an accredited NLP Coaching school, but also holds approved and recognised training qualifications from the Institute of Leadership & Management and Association for Coaching. Over 50% of our students take this training on completion of the NLP Practitioner training, and can also lead to an ILM level 5 Certificate in Coaching & Mentoring. A final balance of £340 per delegate will be requested 2-3 weeks before the course commencement date. Company funded bookings please select FULL AMOUNT and choose the option 'Company Invoice' at checkout.